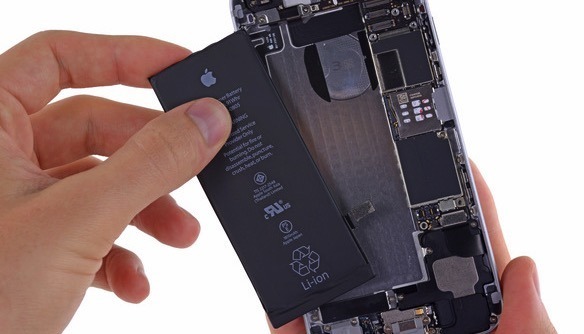 After rumors circulated claiming that the iPhone 6 family will be the next recipient of a battery exchange program, AppleInsider has been told that the report is incorrect, as there is apparently no justification for a wide program to fix issues. Apple enthusiast site Macotakara first suspected that an iPhone 6 battery replacement program was in the works, but did not cite any reasons why they thought that the program was imminent. AppleInsider, however, found no significant departure from expected norms in over six months of collated service data provided by 40 Apple stores across the US. Some local Apple retail stores were queried as well, who all claimed to know of nothing in the works, or any inkling of an upcoming program. Apple ended a program for the iPhone 5 battery in 2016 for some units sold during a five-month period in 2014. A battery replacement repair extension is currently in place for some iPhone 6s units built between September and October of 2015, with an online tool available to check eligibility.